In addition to world class facilities, a great array of disciplines, teachers and students from all over the world, and sports teams that dominate year after year, Georgia public colleges offer options for a diverse and in-depth education throughout the Peach State as well as offering college students a fresh breath of air when it comes to hospitality and charisma. Both with regards to weather and friendliness, the "Peach State" is a far cry from the winters associated with New England. Georgia is world renowned for its southern hospitality. When that break comes from class, students can discover fishing, butterfly gardens or even head to Stone Mountain Park, home to the state's largest campground, two championship golf courses, hiking trails, historical and natural sights, and more. Looking for a Georgia Public College? The state of Georgia, located in the southeast United States, has within its borders a large number of colleges and universities, both public and private. The state of Georgia is home to the fourth largest public college and university system in the United States. The University System of Georgia (USG) is the organizational body that includes 29 public institutions of higher learning in the state of Georgia. All public schools are partially supported by the state legislature. All students attending public colleges or universities in Georgia are eligible for the HOPE Scholarship providing qualifications are met. Most public institutions and traditional private institutions in Georgia are accredited by the Southern Association of Colleges and Schools. The university system is governed by the Board of Regents. The Georgia Constitution grants to the Board of Regents the exclusive right to govern, control, and manage the University System of Georgia.The Board exercises and fulfills its constitutional obligations, in part, by promulgating rules and policies for the governance of the University System and its constituent units. The Georgia Higher Education Alliance (GAHEA) is a consortium of 21 colleges and universities that provide quality accredited degree programs specifically designed to meet the educational needs of Georgia's working adult students. There mission is to serve as an educational resource to the community while establishing an ongoing dialogue between member institutions and leaders in business and government. This dialogue sets the stage for the development of educational programs that meet the needs of all parties. Other Georgia colleges include Albany State University in Albany, Armstrong Atlantic State University in Savannah, College of Coastal Georgia in Brunswick, Columbus State University in Columbus, Georgia Southern University in Statesboro, University of West Georgia in Carrollton, Valdolsta State University, and many, many more. 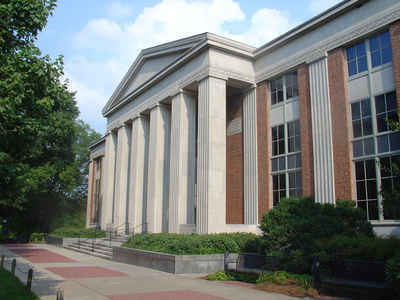 The flagship university of the state of Georgia is the University of Georgia. The most popular school being the University of Georgia. Emory University, a private college is the most expensive in Georgia . The last of the original thirteen North American colonies, Georgia does have a place in US education history: Athens, in the northeast part of the state, is the location of the first university chartered and supported through state funds. The state of Georgia is the home of various online colleges offering prospective students the educational opportunities they need to succeed and to remain competitive in the job market. Get your online college degree through a distance learning program that is right for your continuing education.